As a part of the Save the Habitat. Save the Hunt. Initiative, the NWTF is dedicated by the year 2022 to create or reactivate 1.5 million hunters across the nation. Working toward that goal the California State Chapter, the Butte County Strutting Rio’s Chapter, and the Sutter Butte’s Chapter, have teamed up with the California Department of Fish and Wildlife and the Sutter County Fish and Game Commission to help bring new hunters a quality hunting experience. 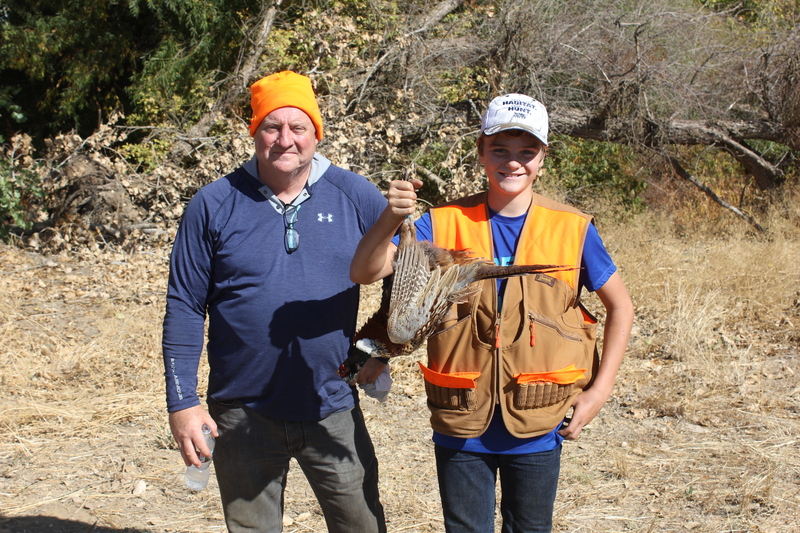 On November 3rd and 4th 2018, CDFW, the Sutter County F&GC, and the NWTF will be hosting 4 separate pheasant hunts at 35 hunters each, for a total of 140 hunters throughout the weekend. One very happy hunter from 2017, first hunt, first bird! Last year, all participants had chances at birds, with the overwhelming majority harvesting a pheasant or two. Several limits were also taken. HURRY AND REGISTER FOR THESE HUNTS NOW!!! These spots will fill up quickly, and you don’t want to miss your chance! 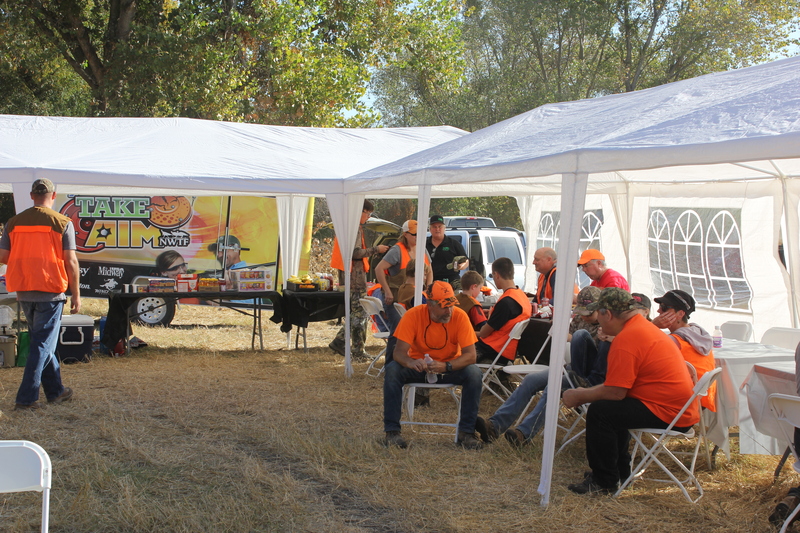 In 2017, hunters were able to lounge prior to and after their hunts, while NWTF volunteers cooked and provided lunch. Depending on whether you’re applying for the Jr or Women’s hunts, please specify in the drop down menu’s. Then scroll all the way down to the bottom of the page and you will find the hunt descriptions for Nelson Slough. We look forward to seeing you out there this November!